As we near our world-wide cross-platform release, we are excited to announce ZenPathz eSports mode will be played on stage at the largest digital festival in the world: DreamHack. We are also working with some new Microsoft hardware and with some Boulder video game companies and Denver virtual reality companies. If you have an interest in Denver video game development, we are growing. Meet up with us and other Colorado video game developers at several Denver video game meetups. There are often a variety of Denver game developers and Colorado virtual reality companies who attend our Colorado Game Developers meetings. We have Denver Oculus rift presentations, VR demos, and more planned this year. 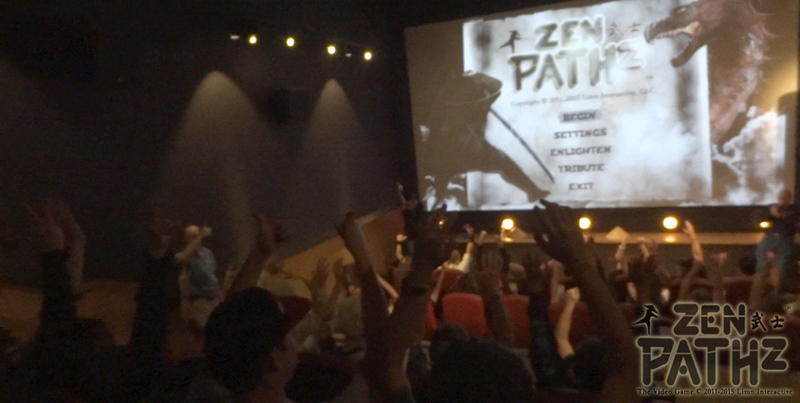 We have been filling movie theaters to capacity and playing the ZenPathz eSports game. There are many great local gaming events coming up including several Denver fighting game meetups with Colorado super smash brothers tournaments, Denver eSports, the best Denver retro games, and more. Join us for Colorado eSports at several Denver lan parties this year and the annual Denver Indie Game Expo. RSVP for the 2016 Denver Indie Game Expo before it fills up HERE. Play the ZenPathz fighter/platformer eSports game at an event near you. 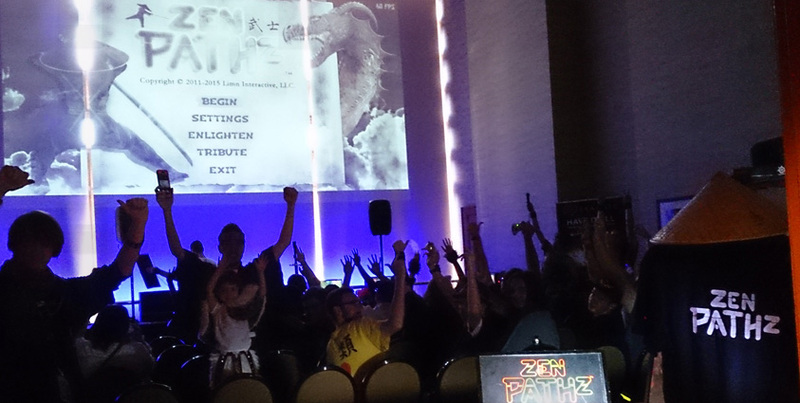 The ZenPathz video game returns to Denver GenghisCon 2016, one of the largest and longest running gaming-focused conventions in Colorado. This will be followed by the annual Denver Afterjam at the Denver Microsoft Store Park Meadows. Stop by and play games or demo your game from the Colorado Global Game Jam 2016, Ludum Dare, Denver Hackathon, or other game jam.